Find out how to buy the best shrimp for your health and the environment. There are over 3,000 species of shrimp but only four considered sustainable: pink shrimp from Oregon (a Seafood Watch best choice); spot prawns from the Pacific Northwest; brown, white and pink shrimp from the Gulf of Mexico (except Louisiana); and any shrimp from U.S. and Canadian waters in the northern Atlantic. Look for the Marine Stewardship Council certification label to ensure you’re getting sustainably fished shrimp. Brands that follow sustainable practices include Shrimper’s Pride and Dominick’s. While frozen has the fresh-ocean flavor, try Wild Planet’s canned Oregon pink shrimp for a quick salad. 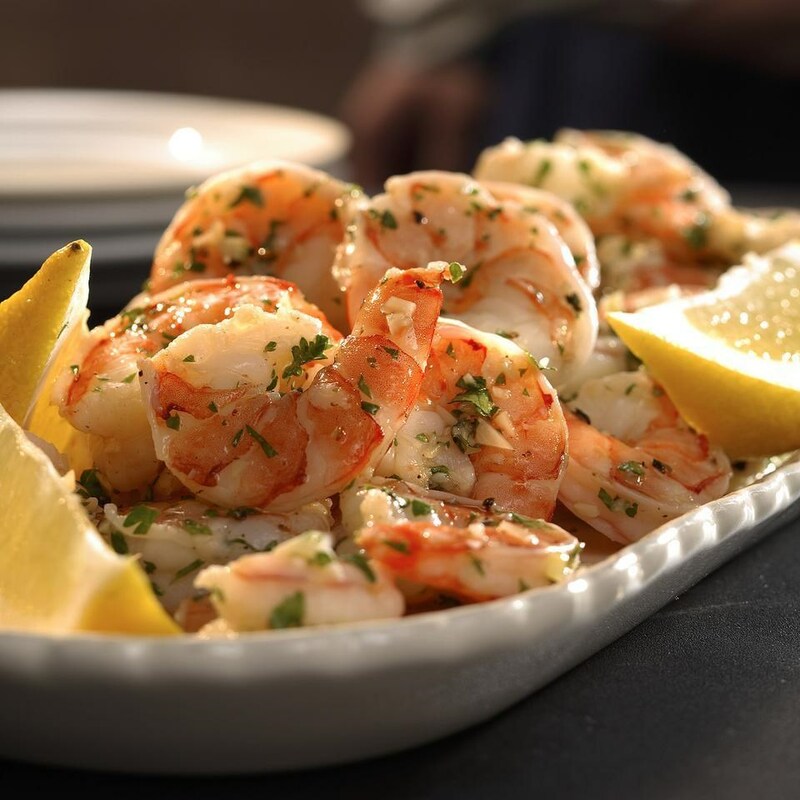 Shrimp raised in the U.S. is generally considered eco-friendly. Look for these two logos logos that certify shrimp were farmed sustainably: the Global Aquaculture Alliance’s blue fish logo or the turquoise checkmark logo of its European counterpart, the Aquaculture Stewardship Council. Some brands are vetted by retailers like Whole Foods or a third party like Seafood Watch, which enforce rigorous standards on suppliers. These include Selva Shrimp, Henry & Lisa’s, Captn’s Pack and Greene Prairie. Sodium bisulfite is considered safe by the FDA, though some people are sensitive to it. It’s only required to be on the label when it exceeds 10 parts per million. Sodium tripolyphosphate (STP) bulks up shrimp, causing them to shrink when cooked. It boosts sodium levels by more than four times in some brands. To figure out how heavily treated your shrimp is, check the label and compare it to this baseline: untreated raw shrimp has a sodium count of about 250 mg for every 100 grams. Everfresh is also used as a preservative to control black spots. It’s made of 4-hexylresorcinol, a compound with antiseptic properties (also in throat lozenges). The FDA considers it safe. It doesn’t require labeling and is accepted by most organic retailers. But a recent study showed 4-hexylresorcinol can be considered a xenoestrogen, which at high levels may boost estrogen levels, increasing the risk of breast cancer in women. The best way to buy shrimp is by the number needed to make 1 pound. For example, “21-25 count” means there will be 21 to 25 shrimp in a pound. The smaller the number, the bigger the shrimp. Names like “large” or “jumbo” aren’t standardized. Also, if you’re choosing loose shrimp piled on ice, make sure they were thawed that day—and you’ll want to cook them the same day. Frozen bagged shrimp offer convenience; when you’re ready to use them, thaw under cold running water. Pink shrimp are found everywhere from the Oregon coast to Florida. They are sweet and delicate. White shrimp are slightly sweeter with a softer texture and more mild taste. Most farm-raised shrimp are Pacific whites, which tend to be milder with a less oceanlike taste. Brown shrimp represent the majority of shrimp caught in the Gulf; they have a firm texture and slight iodine taste. Spot prawns are caught along the rocky floor of the Pacific coast and British Columbia with traps that yield virtually no bycatch. They are generally large, firm and sweet.